Warehouse REIT has exchanged contracts in a £37m deal to acquire a multi-unit estate in Northampton let to John Lewis and a multi-let industrial estate in Aberdeen. 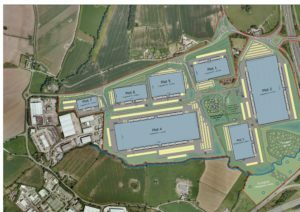 Langtree and Panattoni have submitted a planning application for a £180 million logistics development in south Warrington. LondonMetric Property has exchanged contracts with Argos to extend the lease at its 656,000 sq ft Bedford distribution warehouse by a further 12 years. 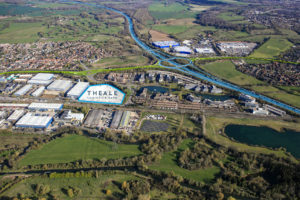 Urban Logistics REIT has sold a 130,508 sq ft building located in Nuneaton to Cofresh Limited for £8.1 million and purchased a site in Thatcham for £3.4 million. Panattoni is developing two speculative warehouses at Luton – one of 345,000 sq ft and one of 69,000 sq ft.
An un-named online retailer has secured a 731,000 sq ft mega shed deal at Logistics specialist Verdion’s iPort scheme in Yorkshire. Architect Fletcher Rae acting for Winsford DevCo has secured planning consent for a 125,000 sq ft speculative industrial scheme on Winsford Industrial Estate. 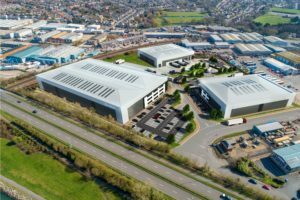 Stoford Developments is speculatively building four warehouse units totalling 180,000sq ft at its Spa Park scheme in Leamington Spa.